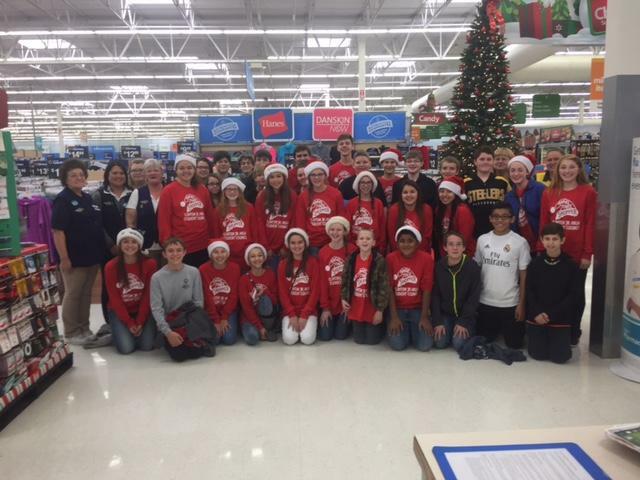 Clinton Jr. High Student Council and Jr. High Beta Club are busy serving the community this December! These students raised $3,680 for our local Angel Tree by selling hoodies, and Krispy Kreme Donuts. Majors Charles and Shirley White founded Angel Tree in 1979 when the The Salvation Army worked with a shopping mall in Virginia to provide clothing and toys for children at Christmas time. 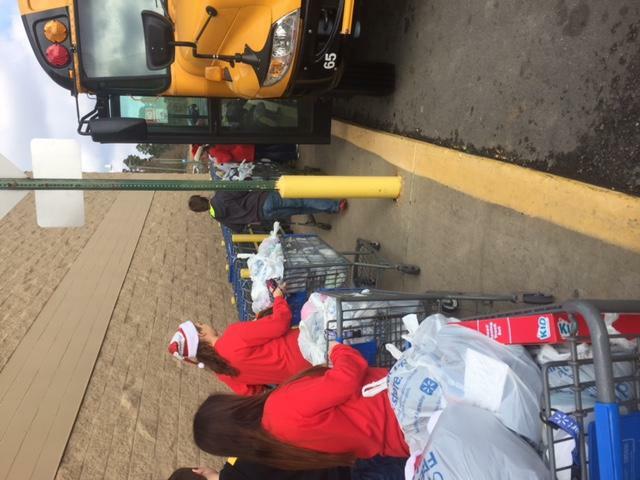 Our students devoted a school day to go to Walmart and personally pick out each gift for the kids who were on the Angel Tree. 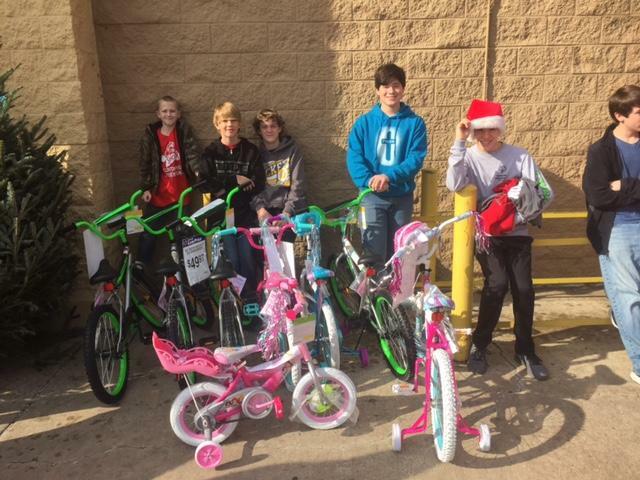 They were able to fill over 6 shopping carts full of toys including 9 bicycles, 1 drone, cowboy boots, 75 clothes and necessities presents, and 30 fun presents for children in our community. The Jr High Student Council also bought 80 fleece pullovers for kids in elementary and Jr High who need something to keep warm this winter. After shopping the students went to La Rosita for lunch and then headed over to the Methodist Church to wrap all of the gifts. We are so proud of our students for raising money to make Christmas merrier for kids in need.